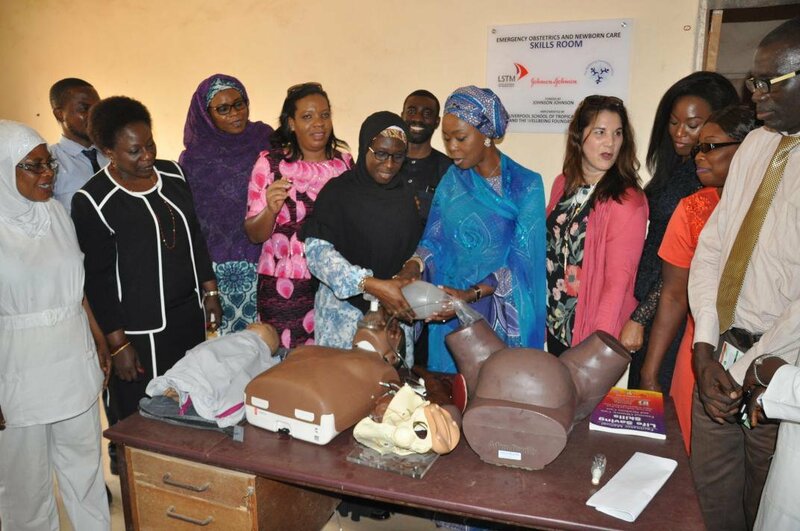 The WBFA has joined forces with the Liverpool School of Tropical Medicine, the oldest and most established school of tropical medicine in the world, and Johnson & Johnson, one of the largest global health companies, to implement the EmONC training programme in Kwara State. This is a unique partnership model, bringing together an esteemed higher-education institution, the private sector and a civil society organisation. 80% of all maternal deaths result from five complications which can be readily treated by qualified and trained health professionals: haemorrhage, sepsis, eclampsia, complications of abortion and obstructed labour. Our EmONC training takes place in-house and equips doctors, nurses and midwives, as a collective team, with the skills needed to overcome these obstetric emergencies. From May 2018, the partnership will extend and scale-up the achievements so far. In the lead up to 2020, EmONC training will be delivered to an additional 27 health care facilities in the remaining 9 local government areas of Kwara state.